When STYX performed from the Concord Pavilion on June, 23, 2017, it was enjoyed by thousands of Boneheads at the L&T Ball. The fifth song they played on their setlist that evening was “Light Up” from their fifth stdio LP called “Equinox”. But last night (Wednesday, January 16, 2019) it was “Lights Out” in the middle of their concert from the Sunset Center in Carmel, CA. In the middle of the show the venue and stage are suffered loss due to a power failure. But the band played on. 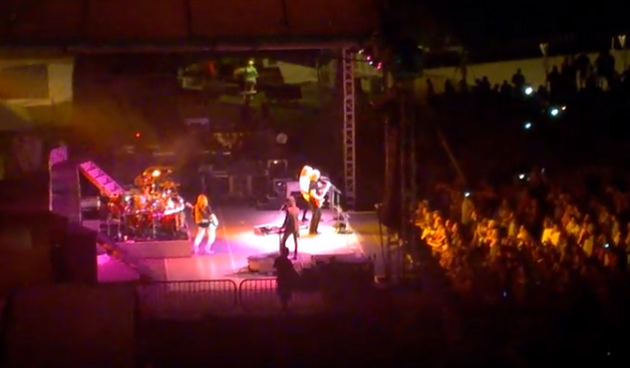 Check out the video below sent to us by a listener who attended the concert. Because you can’t stop rock n’ roll!